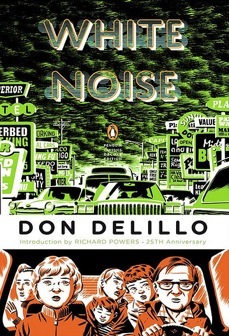 How did the novel that Don DeLillo originally titled “Panasonic” become the phenomenon that was, and still is, White Noise? Canonized at birth by rhapsodic critics and instantly ubiquitous on college syllabi, the novel won the National Book Award and journalists hailed its publicity-shy author as a prophet. But White Noise was not different in kind from Don DeLillo’s previous seven novels. He had been writing about the same paranoiac themes for 15 years: nuclear age anomie, the tyranny and mind control of American commercial excess, the dread of mass terror and the perverse longing for it, the aphasic cacophony of mass information, and even Hitler obsession. In those earlier novels DeLillo had written in the same clipped, oracular prose, borrowing sardonically from bureaucratic officialese, scientific jargon, and tabloid headlines. Some of White Noise’s main insights—“All plots tend to move deathward,” declares the narrator, Jack Gladney—were recycled from the earlier novels, too. White Noise was more conventionally plotted than End Zone, Great Jones Street, or Players, and the characters more conflicted, more human. But something else had changed. 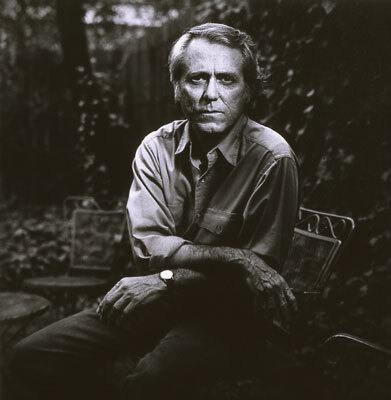 For all the discussion of artificial hearts, advanced plastics, and high-voltage power lines, the incantations of “the language of waves and radiation,” DeLillo is really concerned with more primitive terrors, particularly the fear of death. White Noise is haunted by death. Jack sees death in odd numbers and pixels and sunsets. He seeks protection in “Hitler studies” because the Führer is the one world historical figure who seems “larger than death.” He argues with Babette over which of them will die soonest. Each claims to want to go first, but neither can be certain the other is telling the truth. “I’m afraid all the time,” says Babette. “I’ve been afraid for more than half my life,” counters Jack. There are also other personal anxieties, particularly concerning the survival of their marriage, after Babette has an affair in order to obtain her Dylar pills, and the safety of their children, who keep stumbling into narrow brushes with oblivion. The greater the noise, the more Jack turns inward, toward his most intimate problems. This turning inward was happening across America in 1985. Exhausted by the paranoia of Watergate era, and the panic of the oil embargo and the Iran hostage crisis, the nation sought the comforts of old-fashioned Hollywood movies, delivered by an old-fashioned Hollywood actor. White Noise was published two months after Ronald Reagan’s second inauguration, which followed the most effective marketing campaign in American political history, sounding visceral notes of hope (“It’s morning again in America”) and terror (“There is a bear in the woods”). In “Supermarket”, the narrator asks Americans to judge the state of the country by the contents of their local supermarket—a tactic, incidentally, followed by DeLillo, who ends White Noise with a nightmarish scene inside of one. Walter Mondale, who had tried to make the election about the budget deficit and interest rates, soon realized his mistake, releasing ads with horror-movie music and images of nuclear warheads, but it was too late. Great insight. I haven’t read much of DeLillo as yet but this certainly tempts me!